From sinking sales to a breakdown on the production line, every business has problems at some time or other. It's how you deal with them that can make the difference between success and failure. We at Integrity Staffing Solutions believe that a big part of our amazing growth is that we look at problems as opportunities for improvement, not roadblocks in our path to success. It's critical that every member of the team is on board with analyzing the problem, planning a solution, and then executing it. We all have a stake in achieving a successful outcome, which means we all give our very best to make it happen. 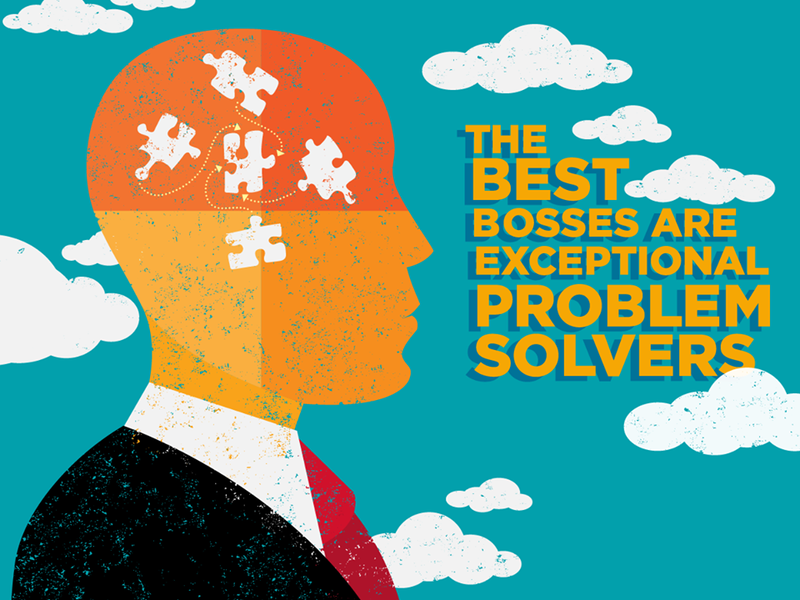 There are a variety of problem solving protocols to choose from, depending on the type of company and people involved. Here is one of our favorites. Get everyone's input and perspective: not just the department manager but the people on the line. If people are afraid to tell you the truth, you do indeed have a big problem. This might seem self-evident, but don't skip this step. Writing down an exact definition for all to see will get everyone on the same page. Go deeper than the obvious answer. For example, you might say that defective production is caused by employee error. But why are employees making mistakes at that point? Lack of training? Flawed work method? Shortcuts being taken to achieve quantity targets? It might very well be that just reprimanding or replacing people won't make the problem won't go away. Knowing the root cause will point you in the right direction to solving the problem. Brainstorm with everyone involved, and really listen to what they say. This is where the opportunity to improve will shine through. Evaluate the pros and cons of all the ideas discussed. The solution most likely to succeed in the long term is the one that is in everybody's best interest, or at least shares benefits and drawbacks equally among all members of the team. Plan and implement the solution. This is the point where problem solving often breaks down. Don't just rely on everyone's agreement to a course of action: assign responsibility for getting it done. Write it down and pass it around: who's doing what, timeframes, milestones and reviews. Establish a time — say 3 months — for evaluating whether the solution is working. If it is, congratulations! If not, go back to step 1 and see what needs tweaking (or scrapping). This last step is almost always skipped, yet it has a huge impact on employee morale and motivation. When the problem has been turned into an opportunity for success, celebrate it with an email broadcast, a story in the company newsletter or an achievement award. The more they hear about success, the more they'll want to be a part of it. And that can only be good for your business!